The first electronic waste (e-waste) plant is going to come up in Guwahati soon and will be set up by United Global Trust, a organization based in the city. The e-waste plant will be the first authorized centre in the northeastern region and serve all the eight states. The project is supported by Oil and Natural Gas Corporation (ONGC) as a part of its Corporate Social Responsibility (CSR) initiative. The approval for setting up the plant had already been given by the Pollution Control Board of Assam (PCBA), reports The Assam Tribune. 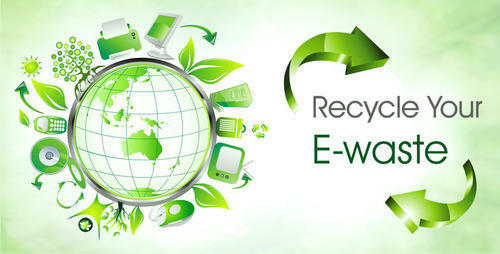 The organization would work on creating awareness about e-waste and the way it should be collected and disposed. The organization would first focus on companies and organisations that are required under E-waste (Management) Rules, 2016, to manage e-waste through approved channels only. India is the fifth largest generator of e-waste in the world with 2 million tonnes of e-waste being generated every year. E-waste has a large number of harmful chemicals like lead, arsenic, cadmium which causes harmful effects on the environment and can cause a serious impact on human health.